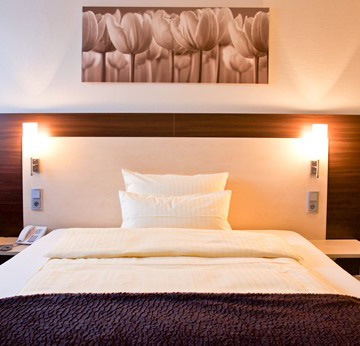 The NürnbergMesse exhibition centre is located just a few kilometres from the hotel. With a total exhibition space of 170,000 m², the centre has hosted countless well-known events, such as the „Spielwarenmesse“ international toy fair, the „Biofach“ organic food fair, the „Freizeit Messe“ outdoor pursuits fair, and the „Consumenta“ consumer goods fair. To see an overview of all the events at the exhibition centre, visit the NürnbergMesse website.